Our bodies are comprised of many hormones that help us function at our best. However, when the levels of these hormones change, it can have a negative impact on our lives. When men in Frisco, Texas have low testosterone levels, they may be struggling in many aspects of their lives. Testosterone is a special hormone that is found in both men and women, but much higher levels are ideal for men. While many associate testosterone with sexual drive, it is also related to bone health and muscle mass. This hormone should be found in specific amounts in the body, but when these levels change, it can be a concern. Men who are experiencing these changes in their body will want to book an appointment with a physician to check their testosterone levels. If it has been found that the levels are too high or too low, hormone replacement therapy can be used to bring the levels back in balance and help patients feel more like themselves. Men who believe they are dealing with low testosterone levels are welcome to speak to the team of Legacy Male Health. 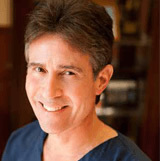 Dr. Jeffrey Buch and his staff work closely with men to help them in looking and feeling their best with a better understanding of how hormone levels can affect their quality of life. Call (972) 996-7177 and visit the practice at 5616 Warren Parkway #101, Frisco, Texas.